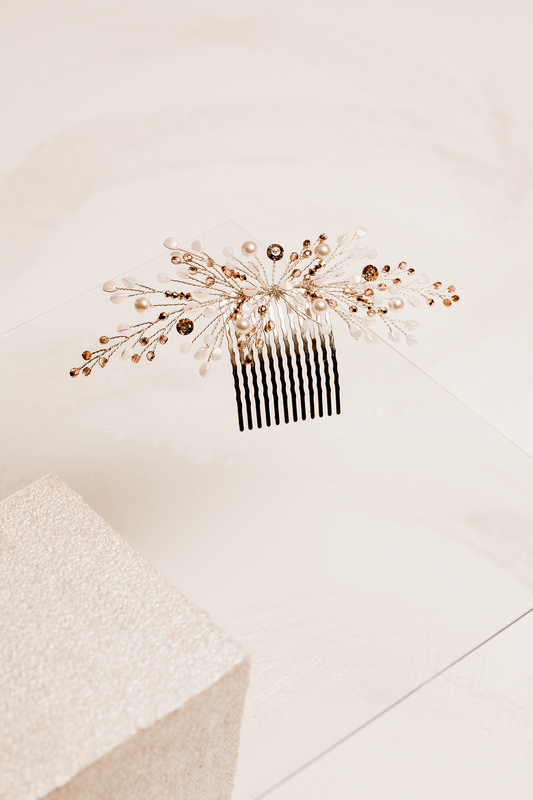 Pearled elements and Swarovski crystals with a rose gold patina effect make this hair comb a perfect choice for a modern bride. The rose effect softens the silver wire and white glass beads shades and give preciousness to the piece. 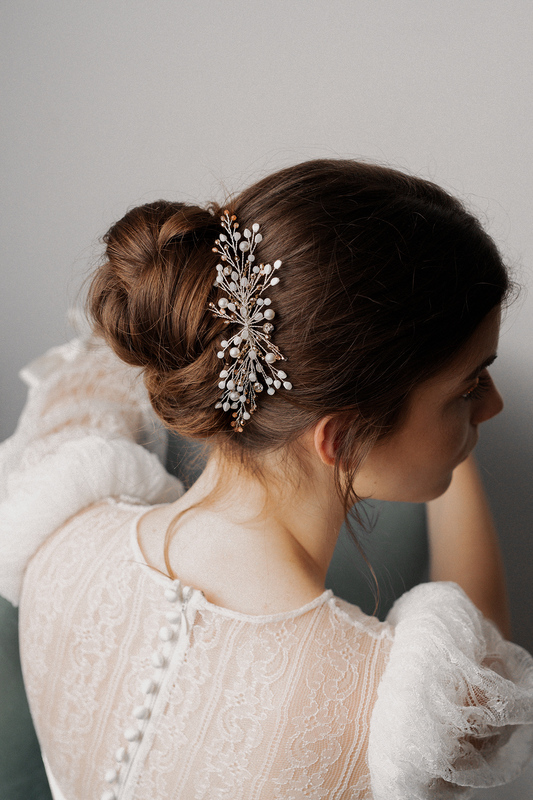 The piece is made from flexible wire so you can bend the edges to perfectly style it unto your head and hairdo.